Like so many other big pharmaceutical companies, Daiichi-Sankyo was created in a merger. This one involved the Japanese companies Daiichi Pharmaceutical and Sankyo in 2005. Daiichi Sankyo, which counts among its products the blood-pressure medicine Benicar, traces its roots to 1899 in Japan when three businessmen formed a joint venture, Sankyo Shoten, and launched a digestive enzyme, Taka-Diastase, made from a fungus. The Japanese drug maker now ranks number 839 on Forbes list of the biggest 2,000 companies in the world with $8.9 billion in annual sales and $17 billion in assets. The company has more than 16,000 employees in more than 20 countries. Its well-known products also include Movantik, a treatment for opioid-induced constipation, launched in 2015 in the U.S. via a co-commercialization agreement with AstraZeneca. Daiichi Sankyo’s main product areas are drugs that treat hypertension and thrombosis. It also sees a huge unmet need in oncology treatments, describing the “cancer market” as “incredibly large” with annual sales at more than $85 billion. Its vision, looking ahead to 2025, is to have its business centered on the specialty area of oncology, with other products growing from needs in regional markets. Its main product areas are drugs that treat hypertension and thrombosis, which it calls a franchise with Prasugrel and Savaysa (edoxaban). It hopes to expand into pain management, as well as neurodegenerative diseases, heart and kidney diseases, and other rare diseases. Relating to rare diseases, the company announced in March 2017 that it would collaborate with the Drugs for Neglected Diseases initiative to develop drugs for two neglected tropical diseases, leishmaniasis and Chagas disease. One of the company’s biggest sellers had been Benicar (olmesartan), which is used to treat high blood pressure. But in 2016, the company lost exclusive rights to the drug in the U.S. and generic versions began to come on the market. Bloomberg estimated at the time, generic versions would account for $950 million in sales in the 2016-2017 fiscal year. Daiichi Sankyo’s revenue from the drug was already declining by that time. In its 2016 annual report, the company reported only $661 million in annual revenue from the drug the previous year. The drug generated $3.1 billion for the company in the 2013 fiscal year and $2.4 billion in 2014. This drop has placed Daiichi Sankyo in what it calls a “difficult situation,” which it says it will address by continuing to create new, useful drugs. Benicar has been associated with serious gastrointestinal side effects. The U.S. Food and Drug Administration warned in 2013 that taking Benicar can lead to chronic diarrhea and substantial weight loss. Consequently, the drug is a source of litigation against Daiichi Sankyo. About 1,800 people who claimed they were injured taking the drug have brought cases that are now consolidated in multidistrict litigation being heard in federal court in New Jersey. 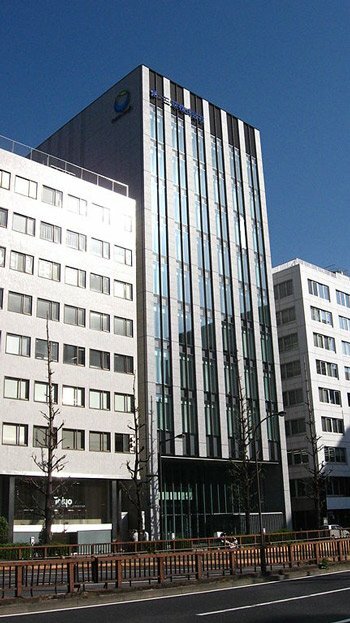 Addressing the issue in its 2016 annual report, Daiichi Sankyo said it would “be difficult or impossible at present to reasonably estimate the monetary amount” it will have to pay as a result of the Benicar lawsuits. Benicar also played a role in another legal problem faced by Daiichi Sankyo. In 2015, the company agreed to pay $39 million to settle a federal case in the U.S. alleging it had paid kickbacks to doctors to get them to prescribe drugs, including Benicar, as well as Azor, Tribenzor and Welchol. The alleged kickbacks were in the form of speaker fees as part of the company’s Physician Organization and Discussion programs, also referred to as PODS. The U.S. Justice Department alleged that the company made payments to doctors even when they just took turns talking on the same topics over dinners paid for by Daiichi. Sometimes the recipients spoke only to members of his or her own staff and sometimes the dinners were so lavish that the cost exceeded the company’s internal cost limitation of $140 a person. The former Daiichi sales representative who filed the whistleblower lawsuit received $6.1 million of the Daiichi payment. The settlement came out of a whistleblower lawsuit filed by a former Daiichi sales representative, who received $6.1 million of the Daiichi payment. The company had spent close to $1 billion promoting Benicar in the years that followed its 2002 launch. Daiichi Sankyo is a Japanese company with its U.S. headquarters in New Jersey. It was established in 2005 when two companies – Sankyo and Daiichi Pharmaceuticals – merged. One of the company’s important figures, Dr. Umetaro Suzuki, first discovered vitamin B1 in rice bran in 1910. He established a foundation for the theory of vitamins. Suzuki would go on to become a scientific advisor for Sankyo. In 1915, six people founded Arsemin Shokai, which three years later became Daiichi Pharmaceuticals. Sankyo manufactured Japan’s first insecticide in 1921, while Daiichi focused on syphilis treatments, asthma medicine and sulfa drugs. Both companies were listed on the Tokyo Stock Exchange in 1949. During the 1950s, ’60s and ’70s, Sankyo manufactured the first antibiotic produced in Japan, a vitamin B compound and an anti-cancer drug (Krestin). Daiichi launched Iscotin, a medicine for tuberculosis, an antiplasmin medication and a treatment for ulcers. As the turn of the century approached, the two companies worked on blood-pressure medicines, antibiotics and diabetes drugs. 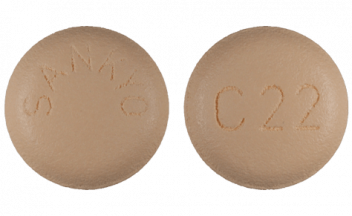 Sankyo launched the popular antacid Zantac in 1984 and the first statin drug in 1989 (Mevalotin). It also established business units around the globe. Sankyo launched Benicar in the U.S. in 2002 and in Japan two years later.